"Oil conveyance" refers to the transportation or transfer of crude oil and refined petroleum products or their by-products into Maine or from terminal to terminal. This page provides information concerning the fees assessed on petroleum transfers, not including waste oil. 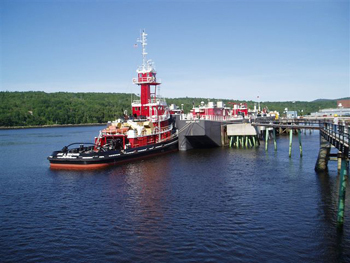 The Maine Ground & Surface Waters Clean-up and Response Fund assesses a fee on the transfer or transport of crude or petroleum products from vessel to terminal, the import of petroleum products into Maine by road or rail, and the transfer of product from terminal to vessel. For information about licensing of terminals or registration of companies or railroads for the transportation of petroleum products into Maine, please call Jamie Hoover at 207-287-6113 or 287-7688. For information about reports for petroleum products transported into Maine, fees, products, codes, or refund requests (for petroleum products exported from Maine) call Melissa Morrill at 207-287-6102 or 287-7688.